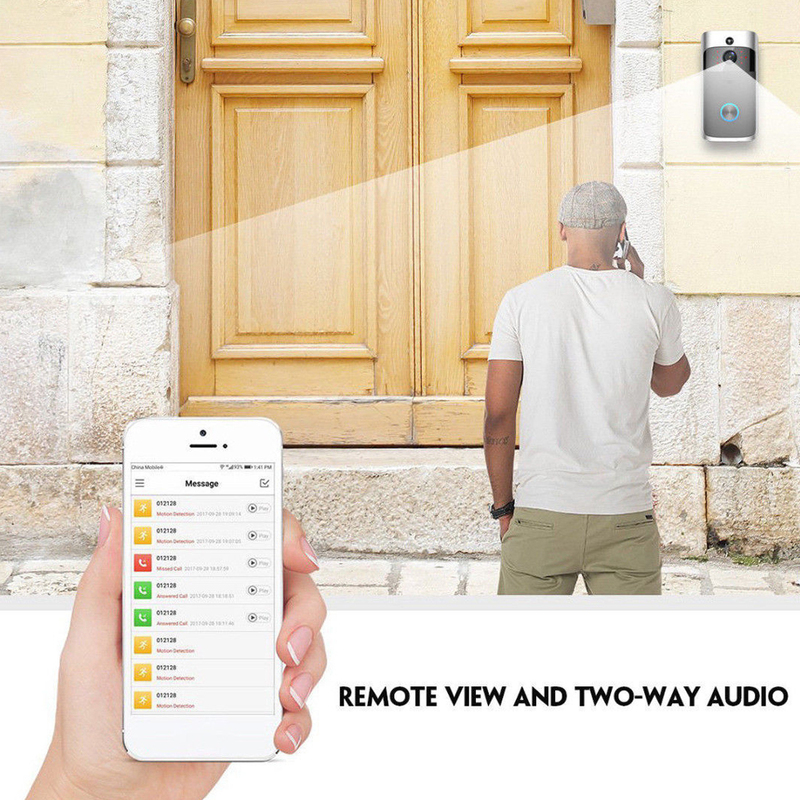 This Wireless Video Doorbell can connect home WiFi and achieve a two way intercom between the doorbell and cell phone. When a visitor presses the doorbell sound is activated and the camera will start sending real time images and call to the cell phone. 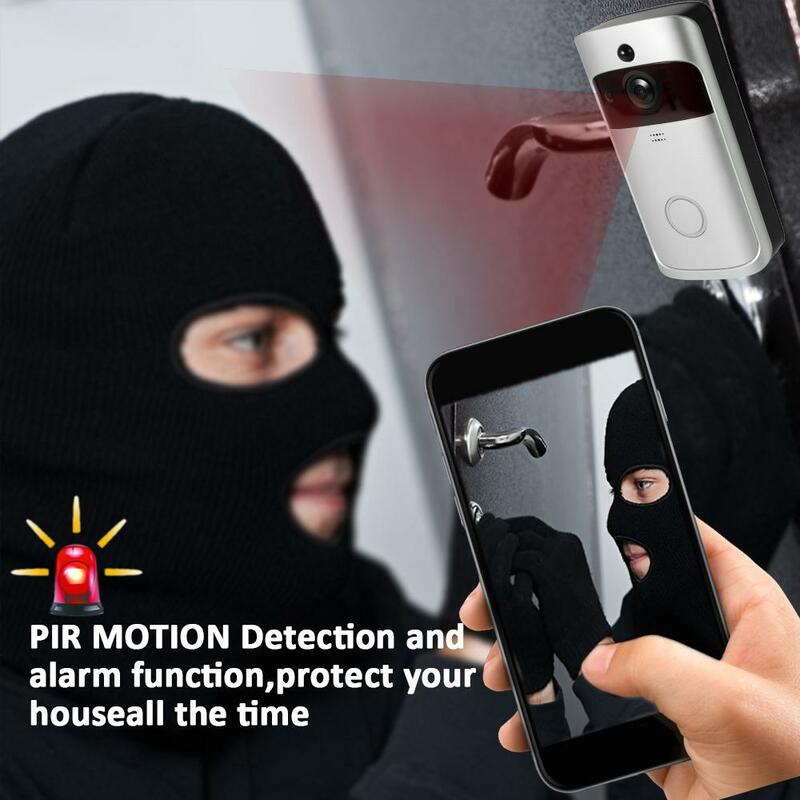 The user will receive the call and can check who the visitor is, can intercom with the visitor and remotely unlock the door. 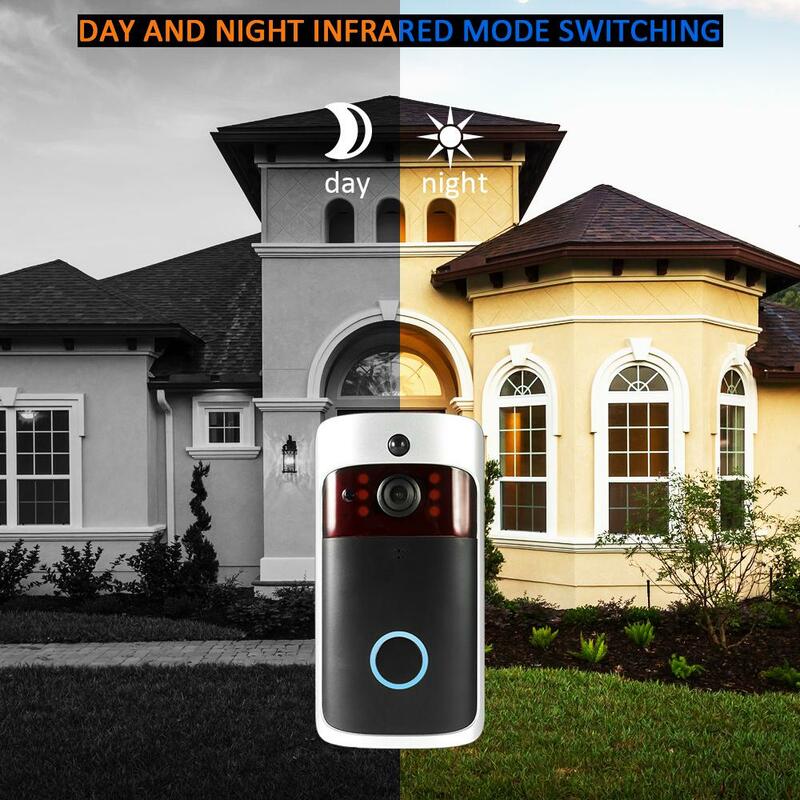 Support visual intercom, IR night view, TF card record. Support up to 32G TF card storage(not included).